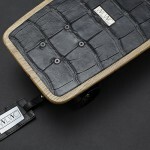 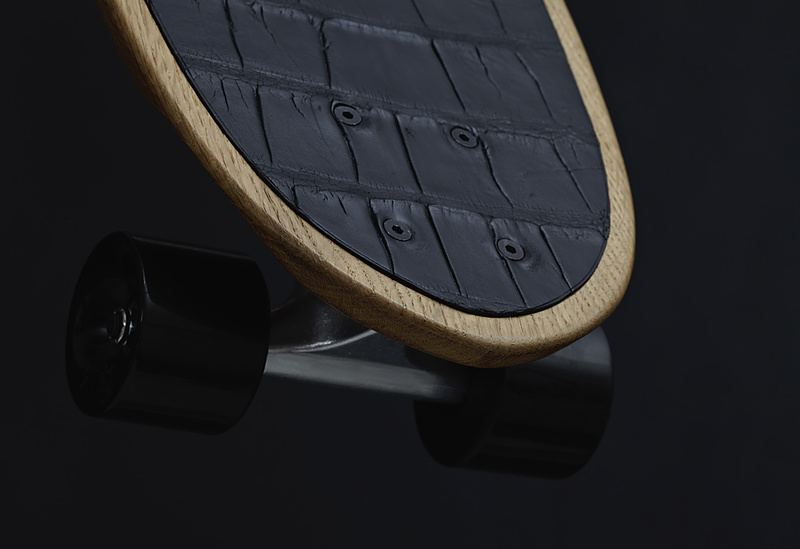 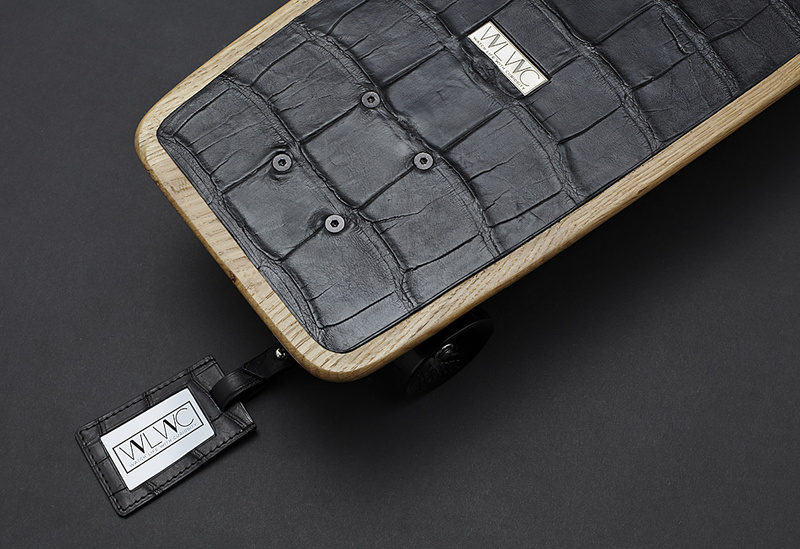 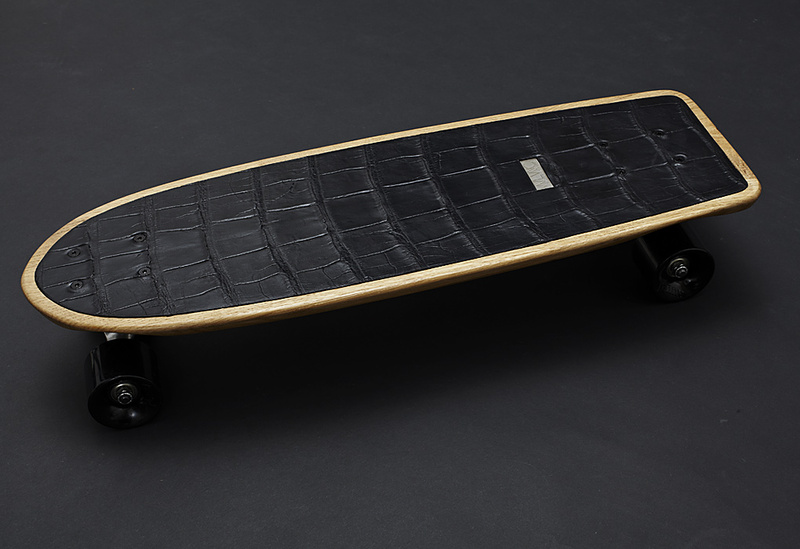 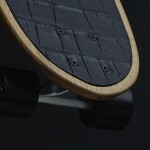 Skateboard covered with Crocodile skins. 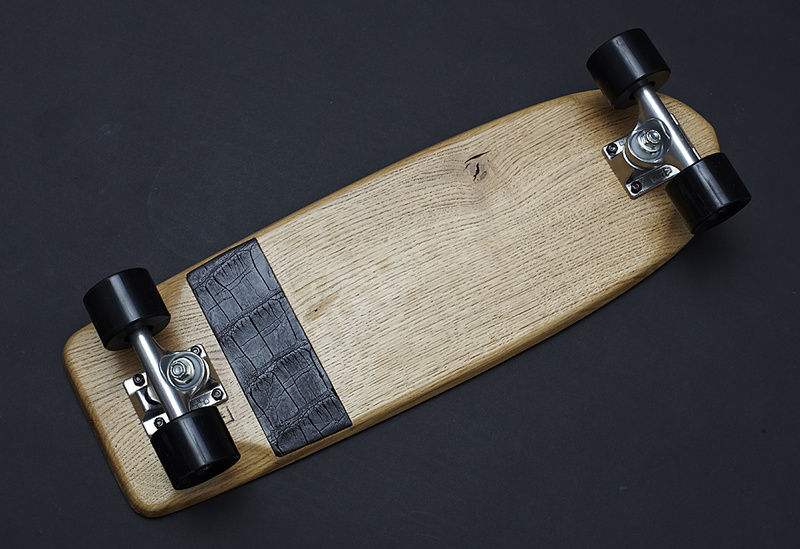 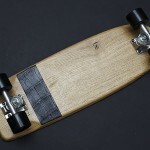 The skateboard decks have been designed and handcrafted by skate addict and cabinetmaker, Clement Bouchonneau – a graduate from the one of the most prestigious French schools of Arts and Crafts: l’Ecole Boulle. 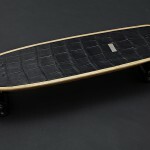 The crocodile skin inlays are of 8 to 10 years of age.